Did anyone check the number of candles on here? "Just how old do you think my dog is in dog years?" is a question I hear on a regular basis. People love to anthropomorphize pets, attributing human characteristics to them. And most of us want to extend our animal friends' healthy lives for as long as possible. It may seem like sort of a silly thing to ponder, born out of owners' love for their pets and the human-animal bond between them. But determining a pet's "real" age is actually important because it helps veterinarians like me recommend life-stage specific healthcare for our animal patients. There's an old myth that one regular year is like seven years for dogs and cats. There's a bit of logic behind it. People observed that with optimal healthcare, an average-sized, medium dog would on average live one-seventh as long as its human owner - and so the seven "dog years" for every "human year" equation was born. Not every dog is "average-sized" though so this seven-year rule was an oversimplification from the start. 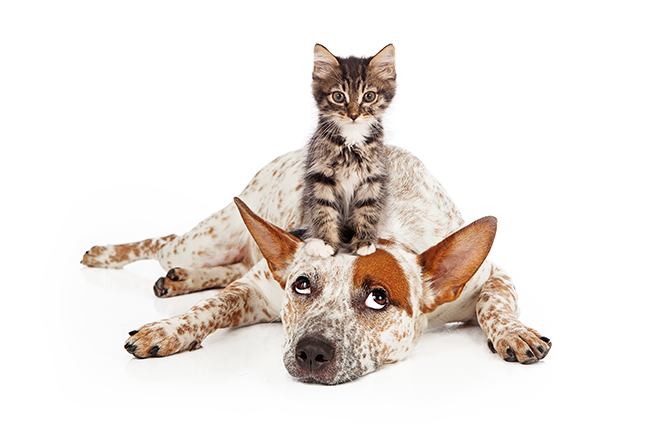 Dogs and cats age differently not just from people but also from each other, based partly on breed characteristics and size. Bigger animals tend to have shorter life spans than smaller ones do. While cats vary little in size, the size and life expectancy of dogs can vary greatly - think a Chihuahua versus a Great Dane. Based on the American Animal Hospital Association Canine Life Stages Guidelines, today's vets divide dogs into six categories: puppy, junior, adult, mature, senior and geriatric. Life stages are a more practical way to think about age than assigning a single number; even human health recommendations are based on developmental stage rather than exactly how old you are in years. But this still doesn't answer the question of how old your individual animal is. If you're determined to figure out if Max would be graduating from high school or preparing for retirement based on how many "dog years" he's lived, these life stages can help. Lining up canine and human developmental milestones over the course of an average life expectancy can provide a rough comparison. In a similar manner, the joint American Association of Feline Practitioners-The American Animal Hospital Association Feline Life Stage Guidelines also divide cats into six categories: kitten, junior, prime, mature, senior and geriatric. Since most healthy cats are around the same size, there's less variability in their age at each life-stage. Physicians already apply this very concept to human age-specific health screenings. Just like a normal human toddler doesn't need a colonoscopy, a normal puppy doesn't need its thyroid levels checked. An adult woman likely needs a regular mammogram, just like an adult cat needs annual intestinal parasite screenings. Of course these guidelines are augmented based on a physician's or veterinarian's examination of the human or animal patient. And as is the case for people, your pet's overall health status can influence their "real age" for better or for worse. So next time you take your pet to the veterinarian, talk about your animal's life stage and find out what health recommendations come with it. Watching out for health abnormalities and maintaining a healthy weight could help your cat live long past the literal "prime" of its life.